People love Ocean Beach. OB has the personality and the beauty that generate passion. We seldom move to Rancho Bernardo or Peñasquitos, although we may move to South Park. One of the best things that makes OB beautiful is the ocean – the beach, the pier, and Sunset Cliffs. The walkable area along Sunset Cliffs is truly unique. We walk, jog, kiss, walk the dog, watch for the green flash, and consider it ours. But in reality it is the property of the City of San Diego. It is a San Diego City Park. A volunteer project to enhance the cliffs by planting native plants is at a temporary standstill. At the meeting of the Sunset Cliffs Natural Park Advisory committee on Monday, February 3, it was announced that the right-of-entry permit has been delayed. Here’s how it works. If a private citizen wants to undertake a project on city property, they must apply to the city for permission. As Vince Adame – the guy who trimmed the bushes next to the pier – found out, you can’t just do it. You describe your project to the city, and then they decide on the conditions and definition of what you can do. The Sunset Cliffs Natural Park requirements have already been described in a Master Plan and a Master Environmental Report; this project was designed to conform as expected, so this was considered a shoo-in. The area planned as the experimental native plant garden is the large lot where the park begins at the foot of Adair Street. If you look closely, the dirt looks amazingly like the remains of a street dug up somewhere else, large chunks of asphalt sprinkled like freckles on the surface of the dirt and sticking out from the edges. In fact, the Sunset Cliffs Restoration Project of 1981 specified large amounts of fill to be placed adjacent to Sunset Cliffs Blvd areas. The City’s review was not quite so cavalier. They want to be sure that paleontological resources are protected – that is, no fossil resources within the bay formation could be impacted. Furthermore the project site does contains ruderal habitat, although it is hard to spot. (A ruderal species is a plant species that is the first to colonize disturbed land). This requires a Biology Report. This project to plant plants looked like a project requiring a Negative Declaration or a Mitigated Negative Declaration Environmental Impact Report. As it turns out, the entire project is budgeted at $2000 of donated money. Fortunately, this is not the end of the story. These issues put the wheels of government into motion, and our City Council Rep, John Ly from Kevin Faulconer’s office, and Chet Barfield from Interim Mayor Todd Gloria’s office, arranged a meeting with the reviewers, along with Parks & Rec staff. The outcome is that they will look at ways to mitigate the mitigation so that the project can go forward. The attention this project received at the OB Town Council meeting and the support from the OB people there came at a very opportune time. The City representatives were already well versed in the project, what it was about, and the community’s desire to move forward. They are looking at ways of solving the costs involved. At this time, there is no certain time frame for when all of this will come together. It is possible that it will not be in time for spring planting, although all in attendance were hopeful. 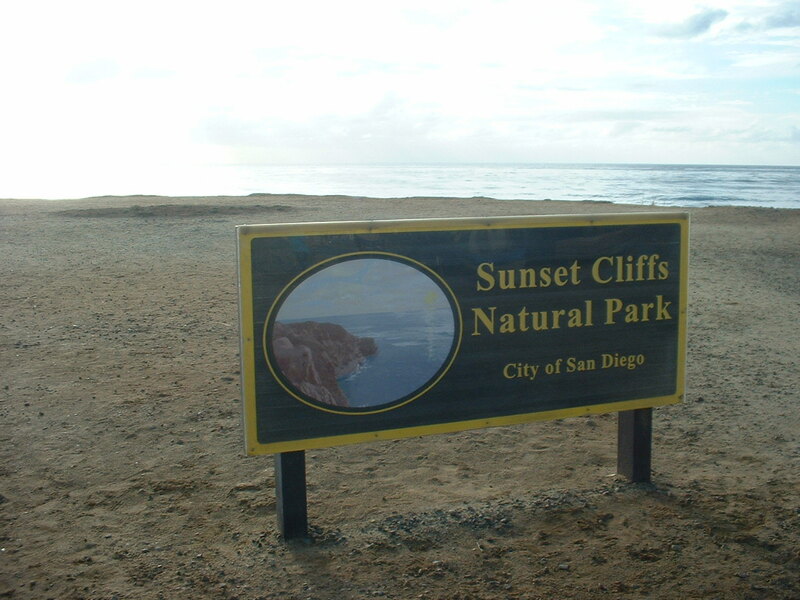 Other outstanding news from the Sunset Cliffs Natural Park Council was the announcement by the chair, Ann Swanson, of a recommendation for funding from the Mission Bay Park allocation of Transient Occupancy Tax (TOT) to City Parks. 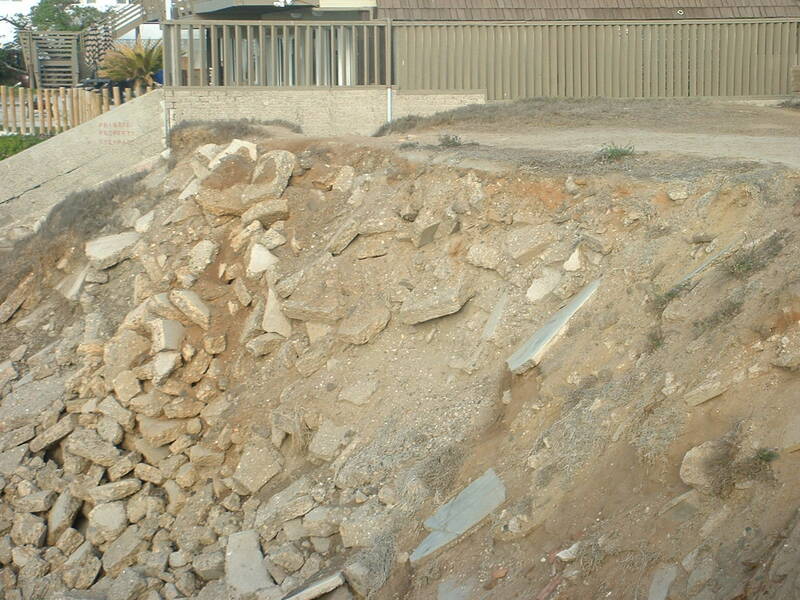 For fiscal year 2015, $1,000,000 is allocated for erosion issues at Sunset Cliffs. This must be approved by the City Council for 2015, but is a very positive step in solving the erosion problems. The entryway project had plants ready to plant that were being grown by the Native Plant Society, and sixty of them have just been contributed to other areas of the park. This is the ideal time for native plants to start to grow in the environment where they will hopefully thrive. They especially like real rain. The little plants just do not start that well in July. Their time may come and go for this planting season. Lois Lane is the nom de plume of a local activist. Thanks Lois for the thorough reporting. It’s too bad about the delays, but it will be nice when it gets done. Looking forward to the implementation of this project. I understand the need to ensure that all processes are followed. These were put in place to help the very situation described here. So: I’m feeling patience and optimism about this great area! The City requirements to protect natural resources in City park areas are important and valuable for all of us. But sometimes the unintended consequence of vigorous regulation is that thoughtful community efforts end up getting scrapped due to excessive costs, even when those efforts conform with the environmental values of the City. My hope is that the City, working with the community of OB, can find a way to make this important local project happen affordably, and without excessive delay. You said it perfectly, Clay. It is ironic that the very regulations meant to protect sites end up preventing good projects from seeing implementation. Enthusiasm, motivation, resources, and competence quashed in favor of perpetuating a non-productive fill-dirt lot. I hope there is enough impetus and sufficient resources to overcome this current state of affairs and hope that common sense ultimately dictates, not bureaucratic boiler plate. Really gets my Libertarian hackles up! Newer Article: Now Who Will Replace Faulconer on City Council for District 2 for Rest of 2014?